Running a salon business can be challenging, especially if you are starting out and have a limited budget. Luckily you don’t have to do it all alone! As a business owner, it’s important that you continually find new ways to work smarter, not harder. The following 4 apps are designed to help you stay organized and please your current clients while building your pipeline for the future. This app schedules appointments, gives you a weekly view of upcoming appointments, syncs to the cloud so you never loose your data, and syncs with your calendar app on your phone or iPad. Also, if you have a Facebook/LinkedIn/Twitter business page (which you totally should for marketing purposes), the app has a book now button that displays on your social media sites so your clients don’t need to go to a separate website. You can have up to 20 staff members, and unlimited customers/customer appointments. 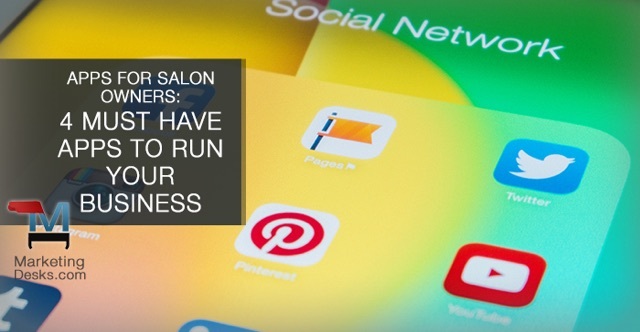 This app truly simplifies the administrative portion of how you run your salon business. Free on the iOS Apple Store and Android Play Store. Beautylish is your go to app for all things product, style, and tutorial. This app tells you the brands of the products you need to create a certain style. It also lists a bunch of styles to choose from. Beautylish makes it really fun and straightforward to try out different looks. And when you aren’t sure where to begin with a hairstyle, Beautylish provides step by step instructions to make sure your outcomes matches the picture that initially inspired you. This app will help you de-mystify these hair styles to your social media followers and provide inspiration to your salon network. Free on the iOS Apple Store and Android Play Store. Tap Style is the go to app for keeping track of inventory. Imagine this: you currently have a monthly count to asses where you are inventory wise. Lately you have been selling out of a certain hair product faster than normal but you don’t have a specific system to count how much you have to reorder without having to conduct another full count. With this app you can see where you are at any given point and replenish your stock in a more efficient way. The app also keeps a record log complete with photos. The next time one of your customer’s asks what cut they got last time, you can show them the exact style. This also comes in handy if you are filling in for another stylist. Free on the iOS Apple Store and Android Play Store. Square has changed the payment game. If you don’t accept major credit cards, you are definitely missing out on a large portion of your market. Square allows you to make mobile payments without having to invest in expensive register and systems. The literal square plug in attaches to your phone or tablet, has a slot for your customers to swipe their cards and lets your customers input their email address to send a receipt. The app also generates a spreadsheet with all the necessary details for tax filing and regular sales reports. And a highly cool feature is that customers can tip from the app. Free on the iOS Apple Store and Android Play Store. Remember, you’re not in this alone. These apps will help simplify your everyday processes so you can spend your time strategizing on how to build your pipeline. 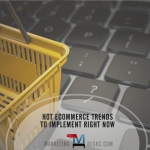 Using these apps will also help you stay competitive and attractive to your target market. If you need assistance marketing your business, contact The Marketing Desks. We can create your entire marketing plan so you really have time to focus on learning and perfecting new styles.